By adding an exercise to your favourite list, you can create your own Physitrack library, cutting out all the exercises you wouldn't generally use. 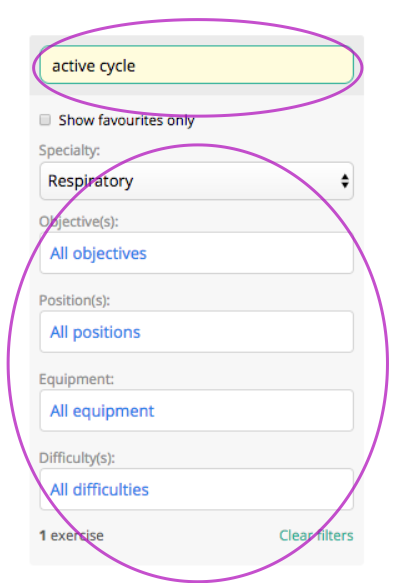 Search for an exercise using either our library catalogue filters, or our search box. Find the exercise you frequently use and open it by clicking anywhere on the picture or title. Finally, click on the favourites star in the top right corner of the preview window. This exercise will now appear with a yellow star at the top of your Physitrack exercise library along with all of your other favourite exercises. Note: Should you only wish to see and search within your favourite library, simply click on the " Show favourites only" box in the left hand search box.